Opeyemi takes a cup of tea almost every day. Even though, she doesn’t like her mum making it for her because it may not be thick or less sugary. Do you know she calls her Dad ‘Baba Ope’ and her mum ‘Mama Ope’? Funny, but I have joined her since. Do you know Ope has a baby boy already? His name is Mustapha, Musty (Ope’s version). He is Opeyemi baby brother’s friend. She had given anything for a clean environment. Though, chores make her tired or is she lazy? Ope has no best friend at all, she consider all her friends as best. It is rare and a very beautiful thing. Do you even know her height? I doubt. She is 5.9ft tall, surprised? I was anyway. She doesn’t like green color, she likes her gown short (iiiiiiiiiiiiiii like it!!!! ), red or black color suites her and she may be wearing a black gown tomorrow in celebration of her birthday. Kai, this one is funny hehn! She wore a very short dress while back in school and her lecturer’s eyes couldn’t go off her till everyone noticed. She is not a fan of motivational speakers but if you want to wow her, challenge her. You have earned her respect. Opeyemi loved to be served breakfast in bed. She got treated to it from her granny few times; no wonder she misses her when she is not around. More so, she got her popular word ‘Shior’ from her granny. She is da queen of YMCA. Yeah, she is. She almost lost a hand in one of its Basketball games, yet she would do it again. She hates to see women suffer, she doesn’t like still birth, and she is concerned with healthy lives of women living in the rural areas. If she has her way, she will single handedly change the situation. Kai! Ope is very courageous and romantic. She goes for what she wants and drops what she doesn’t. She won’t fight with you but can neglect you. On bbm, if you have a special displayed picture (dp) don’t use it because she will steal it. Be warned. I almost skipped this; she doesn’t like to be called white fowl (back in camp). She loved to be pampered by me. And, the respect she has for Uncle Tunde (@9jareigns) hehn? Unquantifiable. Yes, this one! Ope can sleep???? Sometimes, I wish I can drag her off bed, Mtcheeeeew. She loves Tope Alabi so dearly. Her best musician. #InCaseYouMissIt: She is the best thing that has ever happened to me. Bottom line is that, she is not perfect but that is just the way I like it. Whew! It’s actually more difficult than I thought, but, it is worth it. I only hope this makes you laugh hysterically dear. Have a wonderful celebration dear. Happy new year to you and more prosperous years to come. Your comment will be important to her, don’t you think? You are blessed to have met someone you obvioulsy love..she sounds like fun..i don't know her but i wish her a beautiful birthday and then some..HAPPY NEW YEAR to you both! Wow! Indepth expose. 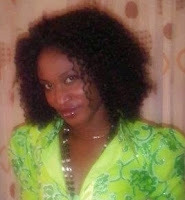 Btw o, i love green dresses nah. Why don't u love them? You forgot to add that she loves sharwama.